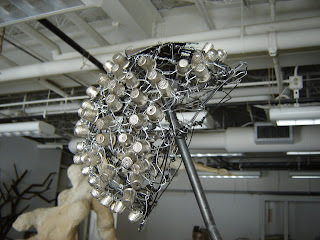 This sculpture is a helmet constructed of thimbles. It is on a hat rack that I welded. I was playing with the idea of protection. A thimble on a small scale protects the thumb. A helmet protects the head.